It’s a good thing to drink water when you are thirsty. However, if you wait until you are thirsty you are well under-hydrated. 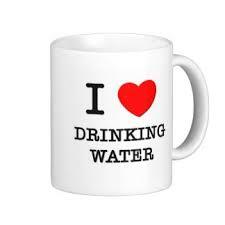 Doctors advise us to drink plenty of water when we are not thirsty in order to function at maximum capacity. It is the same way with the spirit man. For far too many people, what drives them to God is thirst. Their heart and mind turns to God when sorrow comes, when needs arrive, or when something arises that is beyond their comprehension or strength. That is all well and good; but if that is the main motivation for seeking God then they are always living a sub par life. There’s a better way—seek God because you delight in Him. If you wait until you feel like you need Him to seek Him, it means you’ve been running on empty a long time and didn’t know it–and that’s not good at all. Tags: Delighting in God, Thirst for God. Bookmark the permalink. I am definitely delighting in His creativity with the beauty of the snow, ice, birds, and sky today! He really thought this stuff up!!! Ha!! Amazing!! !